I've completed this a little while ago and didn't realize I've not blogged about it! I remembered making some 1/12 scale white flowers and made it into a bouquet. During that time, I was really inspired by the clean, pristine colors of a real life bouquet I saw and so I got down to make some of them. I was wondering if I should leave it alone or add some leaves to it. I asked for some comments on my facebook page and was really grateful for the many comments I've gotten. It wasn't hard for me to come up with a decision - I decided to make some dusty miller leaves to go with this bouquet! I'm so pleased with the result. I'm really loving the soft, calming colors of this bouquet. Then I decided to make some blue crates to go along with this presentation. On a separate note, I will be away on some much needed vacation next week from 4 May to 24 May. I am excited and hope to come back with more inspiration! During the time I'm away, my shops will still be opened, but please bear with me - I can only mail out orders when I'm back. Hi all! Just a quick update. I experimented with a new dollhouse miniature silicon mold this week and am excited to show you what I did with it. 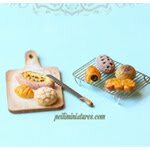 The new mold has mini repeated designs on it, and I think they are just perfect to decorate your dollhouse miniature cakes, pastries, cupcakes with them! If you have been thinking of how to make modern motif designs on cake surfaces, well this mold might just come in handy! This particular one which I have experimented comes with a beautiful modern design. As you can see, the mold surface is huge - so you can make bigger cakes and then cut them into smaller slices if you wish. If you want the design to stand out, dust the surface with very little acrylic paint with a dry brush. Mold measures 4.3cm by 3.3cm. I was excited when I knew there was going to be a tulip show at Gardens By The Bay. There was no way I was going to miss this, so I picked a less busy weekday to see the tulips. A few days before I went, my friend in Seattle went to a tulip farm and I was so envious after seeing all the photos from his trip! Although I know the local show cannot be compared to a real farm visit, I think the excitement from just knowing I can see this beauties in real life is enough to bring a smile to my face. First, I must admit I skipped taking photos of the decorations that come with this tulip exhibition such as the candy house and figurines because I didn't think there was anything special about them. So the photos I am going to post are mainly just flower photos. I had a fun time looking and admiring them. This is the second time I entered the flower dome, and actually almost most of the succulent plants and African flowers are the same. The only difference this time round was that the center stage was used to feature tulips. I took this picture as I wanted to remind myself to attempt making these colored leaves the next time round! These yellow ones caught my attention the most! These white and purple ones make a great combination! I hope you enjoy the mini walk with me! Have a great weekend! 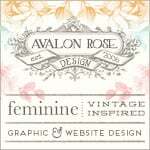 I'm so pleased to announce my new PDF tutorial that I've completed recently! 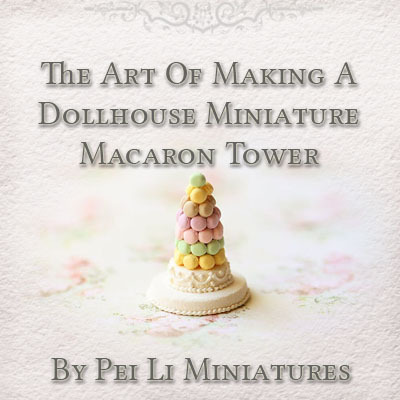 This time round, I've written a tutorial on how to make your own dollhouse miniature macaron tower! The easiest way to purchase it is to go to my Etsy Store here where you can download the tutorial immediately right after making payment. Air dry clay is the medium being used in this tutorial, so there will be components that you need to allow time to dry before you can proceed. However, I have given a lot of care and thought into writing this in a sequential way that if you follow the same sequence, you will have a smoother, effortless process. This tutorial is also slightly more lengthy than the previous ones I've written. Estimated project time, not including drying time may take between 2 or 4 hours or more, depending on how fast each person works. 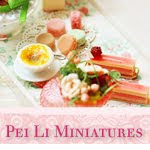 I hope you will have fun experimenting and creating your own dollhouse miniature macaron tower! 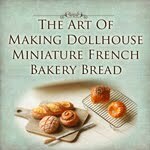 I have a few of these sets of dollhouse miniatures jam, coffee and nutella kits up for grab! These are made of resin and looks really great! Simply stick the label stickers on the respective jars and you're ready to decorate your dollhouse miniature kitchen with them right away. In 1/12 miniature scale.